Crusty, flavoured, sweet, sourdough, seeded……we love bread, in all its forms! But what we really love is bread and butter, and we think it’s time this accompaniment to your meal took centre stage. So, forget wine, whisky, or tequila: we’ve created a Bread Flight. 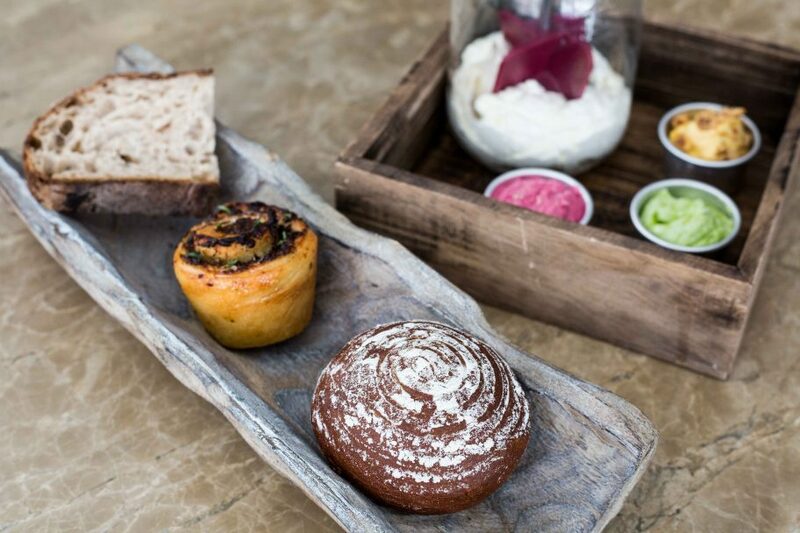 A selection of 3 seasonal homemade breads paired with flavoured butters showcasing the very best of Plate’s baking. Autumn’s selection includes a classic sourdough with whipped butter, mushroom bread with butternut squash and hazelnut, and Arnaud’s signature marmite bread which can be paired with either beetroot or herb butter – make your selection and mix your own butter at your table.